What an excellent book! This for sure needs to be on your Christmas list. This is a great hard back book, perfect for kids devotions. 67 unique chapters, two-five pages each. This is geared for ages 8-14 and is meant for them to read on their own. I always encourage my kids to do individual devotions along with the Bible study time we do as a family. This is the perfect size for them to read and get some radical information from. 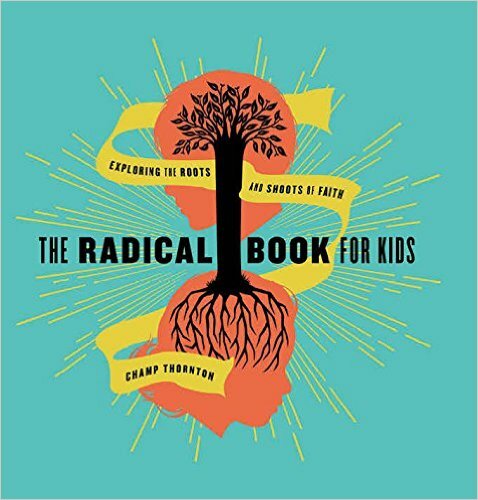 Radical means "Going to the root" of something. This book takes them to the root of who God is and how Jesus is our root. What church was like for the first Christians. The book is written to the kids on their level. It includes great graphics and word pictures for them to understand the concepts even better.